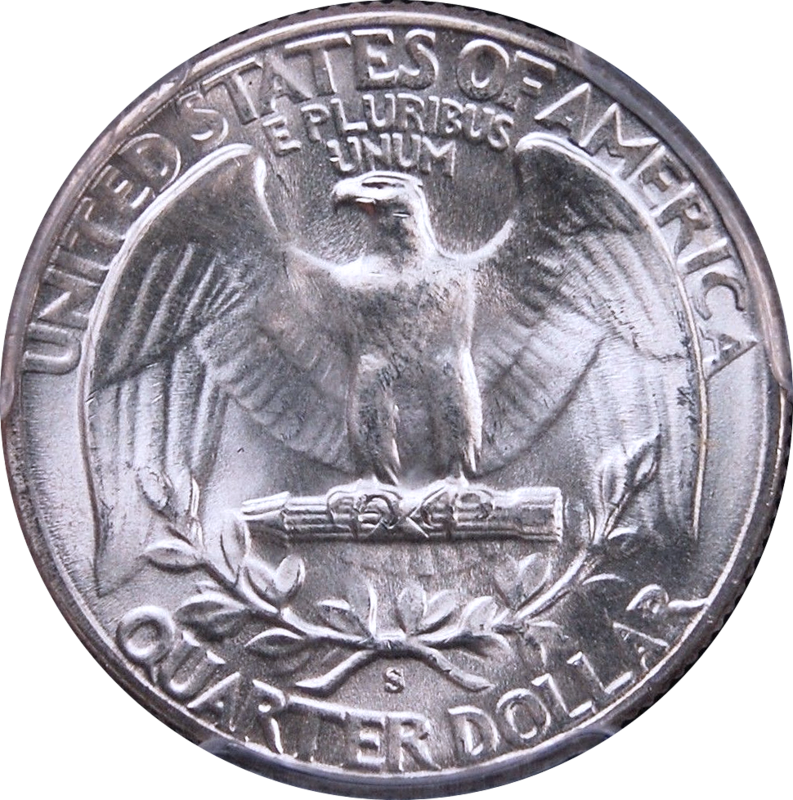 Coin Dealer Insight: Production went back up in 1950 with overall production from all three mints exceeding 55 million quarters. However, 1950 was the year for the D/S and S/D overstrike. 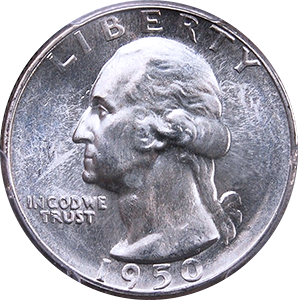 Coins from even poor grades have a value almost 10 times higher than common coins. 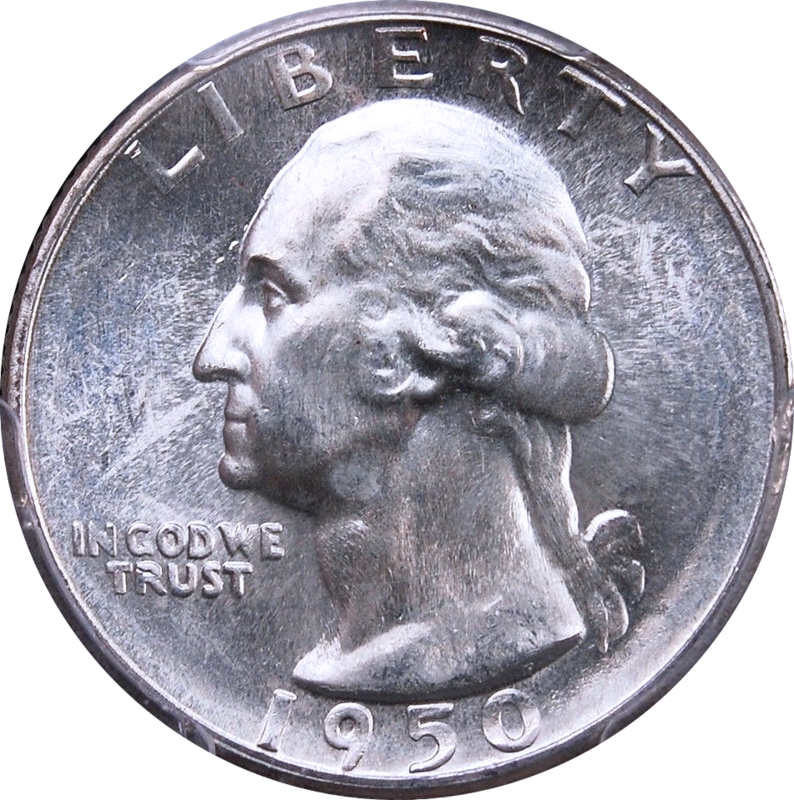 This was also the last year for "mistake" Washington quarters, silver or clad. Value: Can usually be found and sold for somewhere between $8.75-$38.00 price dictated by condition, certification, and current demand. Other factors include location, inventory, and urgency of sale. 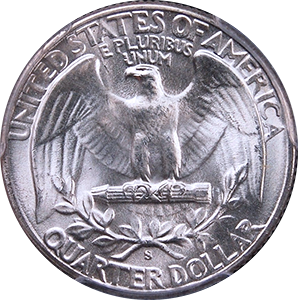 Production: 24,920,000 Washington Quarters were minted at the Philadelphia mint in 1950.